(SCD LEGAL) Magnesium helps convert carbohydrates, protein, and fats to energy, acts as a catalyst in thousands of enzymatic processes, regulates and maintains vascular tone, helps prevent calcification of soft tissue, and is critical to proper bone formation. It regulates calcium and potassium metabolism, facilitates muscle constriction and relaxation, and assists in nerve transmission and conduction. 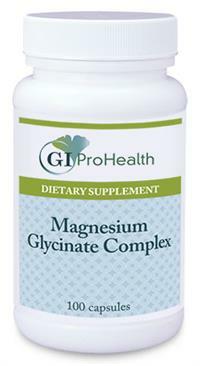 For optimal absorption, this patented formulation uses magnesium and the amino acid glycine to create a compound that is highly bioavailable and well tolerated by even the most sensitive individuals. 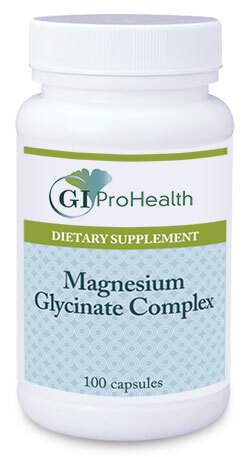 Suggested Use: As a dietary supplement take one capsule one to three times daily or as directed by a physician.